A personalised circular disc chain bracelet. This ladies bracelet is made up of a flat circular disc that sits in the centre of an elegant trace chain. 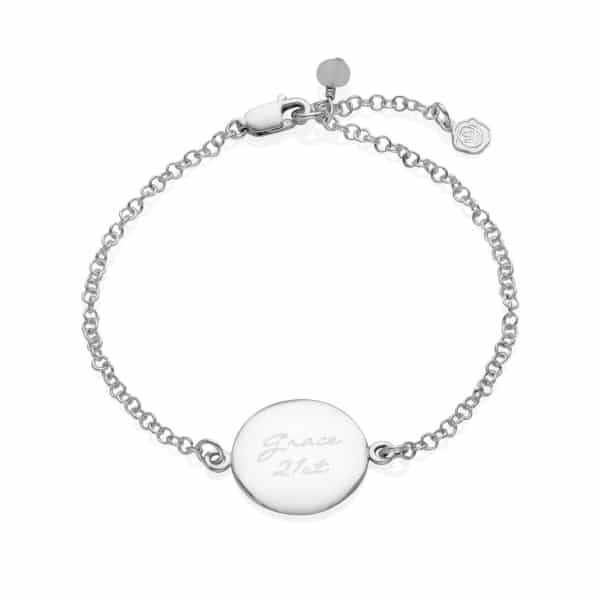 The round polished disc creates the ideal surface for you to have your special message engraved. 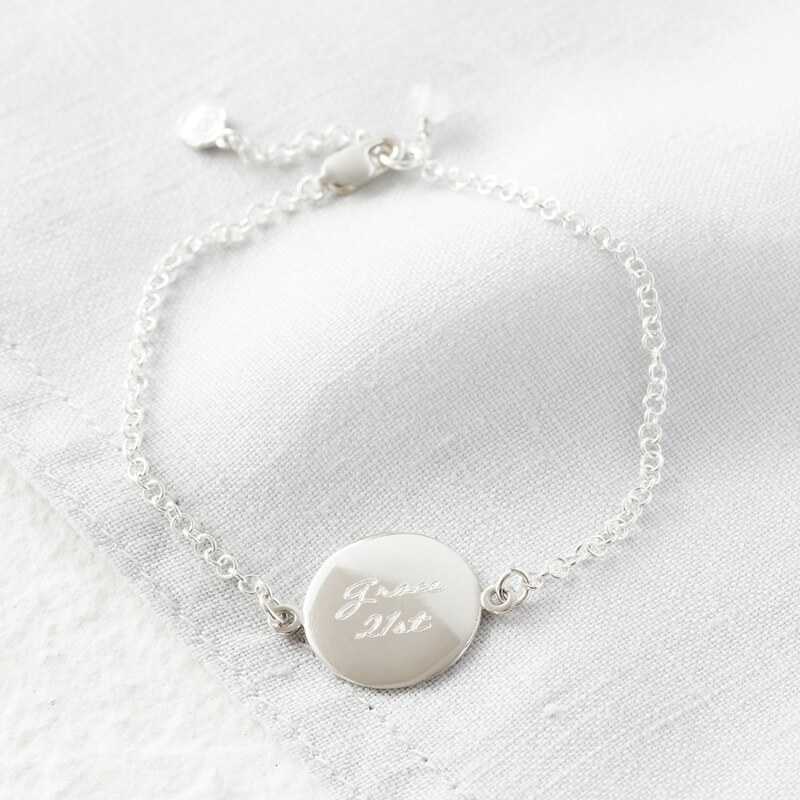 This message bracelet is inscribed in our classic script font. 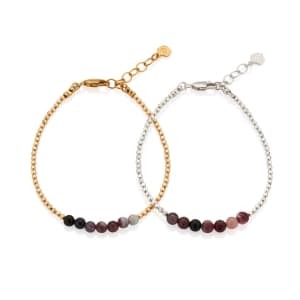 The women’s bracelet is a thoughtful gift to give to a loved one. 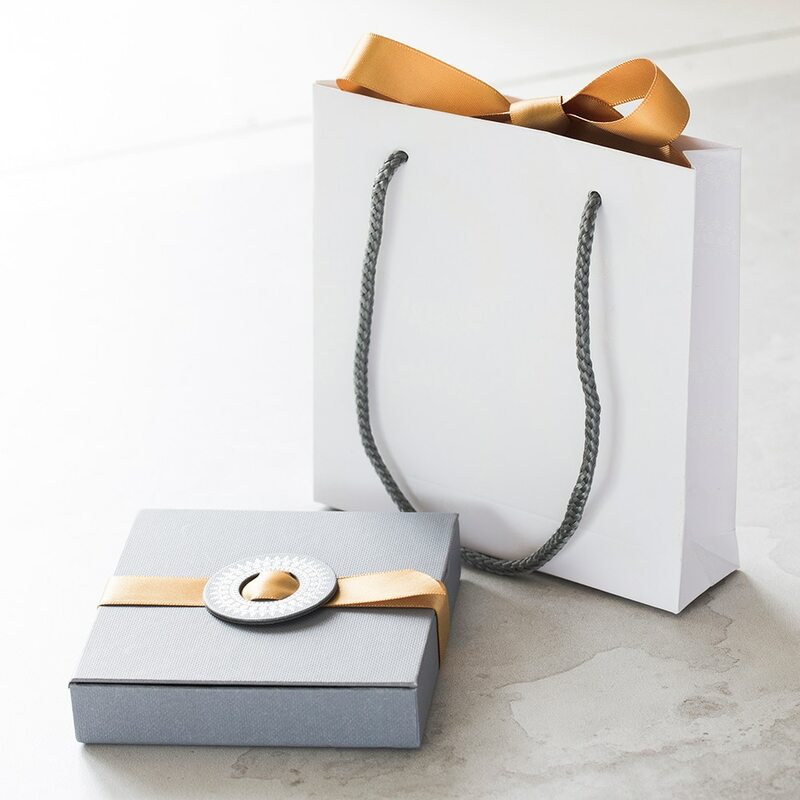 The message you choose can help celebrate wonderful times, let someone know you are thinking of them, remember a special occasion or just to inspire. 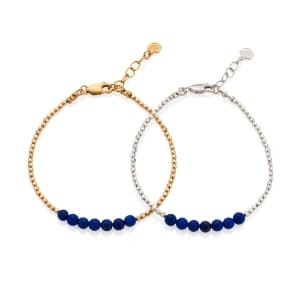 It can also act as a stylish ID bracelet, with the wearers name and date of birth. 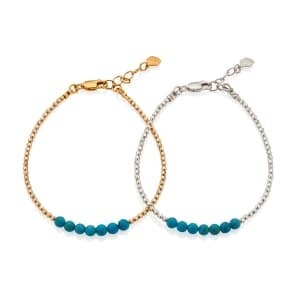 This bracelet is designed to sit comfortable on the wrist and be easily worn daily. We hope that it will become a jewellery box favourite. The lobster is adorned with a white jade bead. Suitable for 1-4 words. Text can be inscribed on both sides. Please note the more words the smaller the text will be! Length – Adjustable at 17-19cm but please let us know if you require a different size.